About 1 billion years ago, two black holes orbiting each other finished their mutual ‘death-spiral’ and coalesced. Prior to the final merger event, during their mutual orbit they lost rotational energy, which made them move closer together and also speed up their orbit, which in turn made them lose more energy, etc. … resulting in a runaway merger. The merger was over in a fraction of a second and the result was a single black hole with a mass of about 60 solar masses. As the two black holes came together, they orbited at nearly the speed of light. 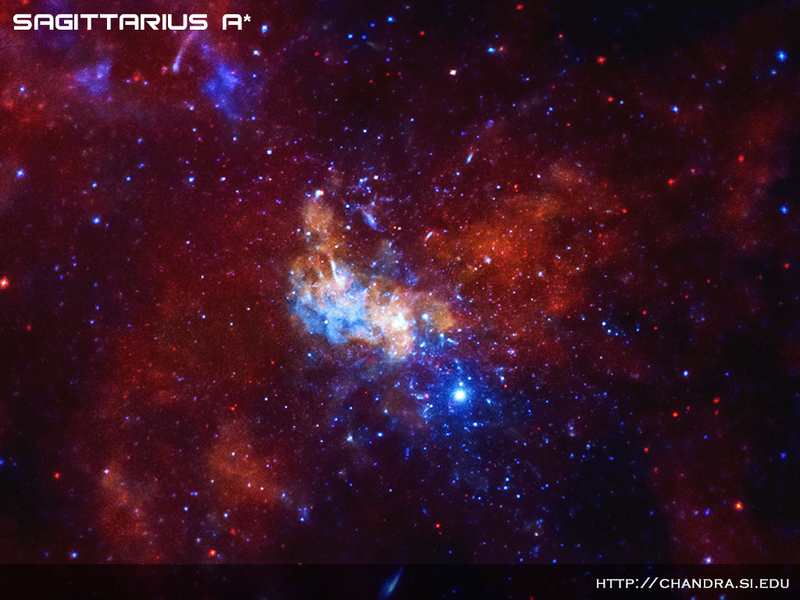 Very massive objects moving extremely quickly tend to buckle or distort nearby spacetime. It was an incredibly energetic cosmic event in which about 3 solar masses were converted into energy in only 0.1 seconds. The final death-spiral and resultant black hole merger propagated energetic waves, gravitational waves, through space. Gravitational waves are both similar and different to other more well-known waves, such as electromagnetic waves. Spacetime is the medium in which electromagnetic waves travel. For gravitational waves, however, spacetime itself constitutes the waves. Electromagnetic waves are created by accelerating or oscillating electric charges. Gravitational waves are created by accelerating or oscillating mass distributions (such as two merging black holes). Both types of waves travel at the speed of light. On the 14th of September, 2015, the Advanced Laser Interferometer Gravitational-Wave Observatory (aLIGO) laser interferometers in Louisiana and Washington state in the USA, which are separated by 3000 km, almost simultaneously detected a signal characteristic of a pair black holes merging into one. It was the event, described above, that occurred about 1 billion years ago. Gravitational waves are a direct consequence of Einstein’s General Theory of Relativity. However their strength or ‘amplitude’ was considered so small, many, including Einstein, doubted the waves would ever be detected. Long baseline gravitational wave interferometers like aLIGO use laser beams in evacuated tubes reflected by mirrors to test the path length of the subsequent laser path. Two tubes at right angles are used. The end mirrors follow the stretching and compressing of spacetime from a gravitational wave. As a wave passes through Earth, the distance between one pair of mirrors in one tube gets smaller, while the other gets larger. Yet even the strongest gravitational waves expected on Earth by various merger events stretch space by an extremely small amount: The strain (change in distance divided by the distance) between two objects is expected to be less than 10-18. To make the change in distance large enough for an interferometer to detect, designers must make the laser baseline kilometres in length. As well, in aLIGOs case the sensitivity to detect small values of strain had been vastly improved over earlier instruments. Apart from the minute strain measurement needed, binary merger events like black hole mergers that undergo an accelerated inspiral orbit produce a characteristic ‘chirp’ waveform whose amplitude and frequency both increase with time until eventually the two bodies merge. The merger results in a highly deformed single black hole which rids itself of its deformity by emitting gravitational radiation that is characteristic of the mass and spin of the final black hole. This is called the ring-down signal. The aLIGO detectors were just firing up again after a five-year, $200-million upgrade, which equipped them with new noise-damping mirror suspensions and an active feedback system for canceling out extraneous vibrations in real time. The upgrades gave aLIGO a major sensitivity boost. 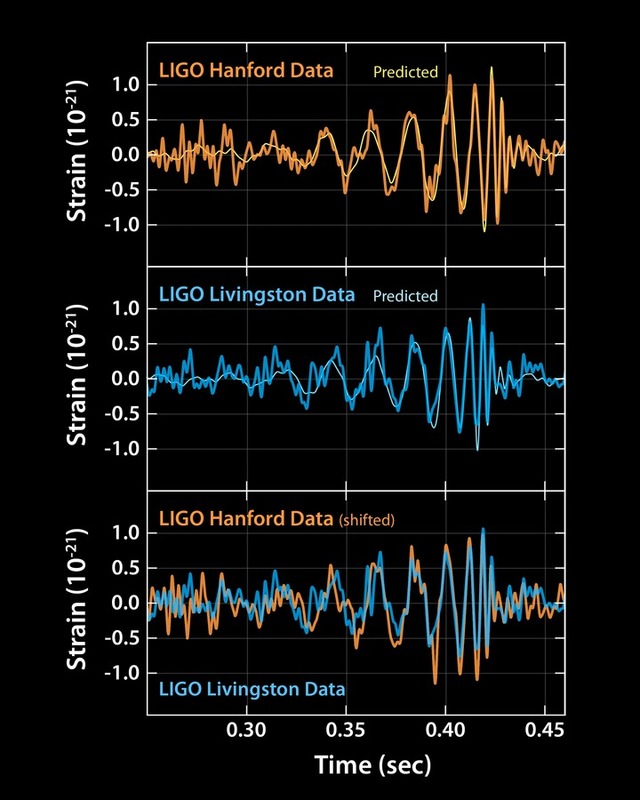 The detected signal of the September 14, 2015 event swept upwards in frequency from 35 to 250 Hz with a peak gravitational wave strain of 1.0×10−21. Yes, the detected change in distance was 1 part in 1021. It matched the waveform predicted by the General Theory of Relativity for the inspiral and merger of a pair of black holes and the ringdown of the resulting single black hole. This detection adds to a growing list of recent ‘major’ scientific breakthroughs that have attracted major media attention. Some add it to an increasing number of discoveries that may even cause the public, politicians and even funding bodies ‘breakthrough fatigue’. The detection of gravitational waves is however truly a major discovery. The magnitude of such scientific discoveries are judged by the awards and prizes given by peers. It is very likely that the next Nobel Prize for Physics will be awarded to (up to three) researchers associated with aLIGO and gravitational wave research. Stay tuned for the October announcement from Stockholm. 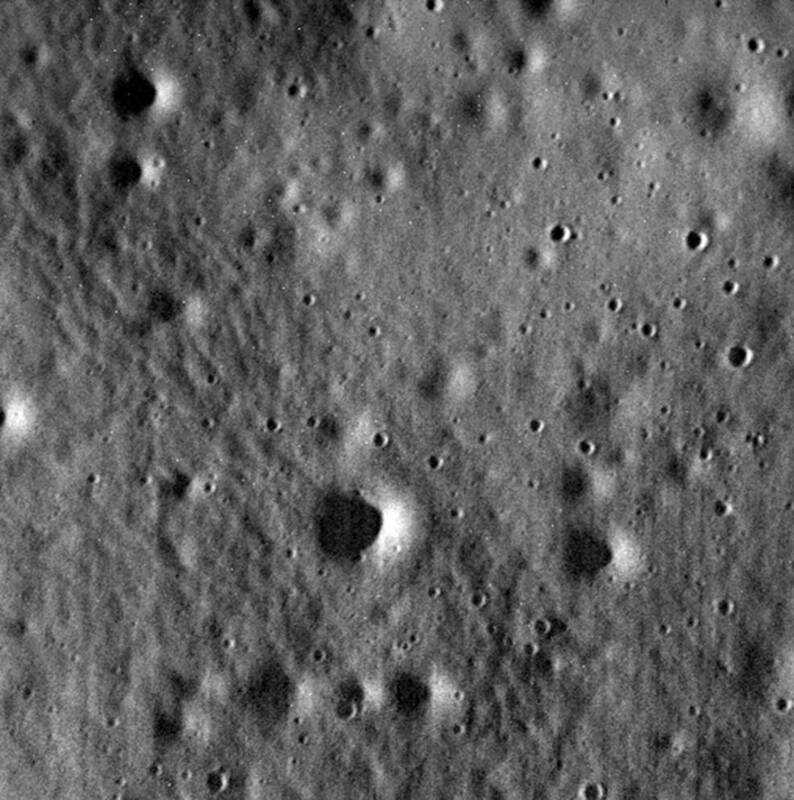 After more than 10 years in space and over 4 years orbiting Mercury, the MESSENGER mission ended last week when the spacecraft crashed into the surface of the planet on April 30th. While the impact was not visible from Earth, MESSENGER managed to send back 5 final images at an altitude of about 40 km from the surface. Travelling at a speed of 8,750 mph (or 14,000 km/hr) the impact would have produced a new crater about 15 m wide on the Mercury’s surface. 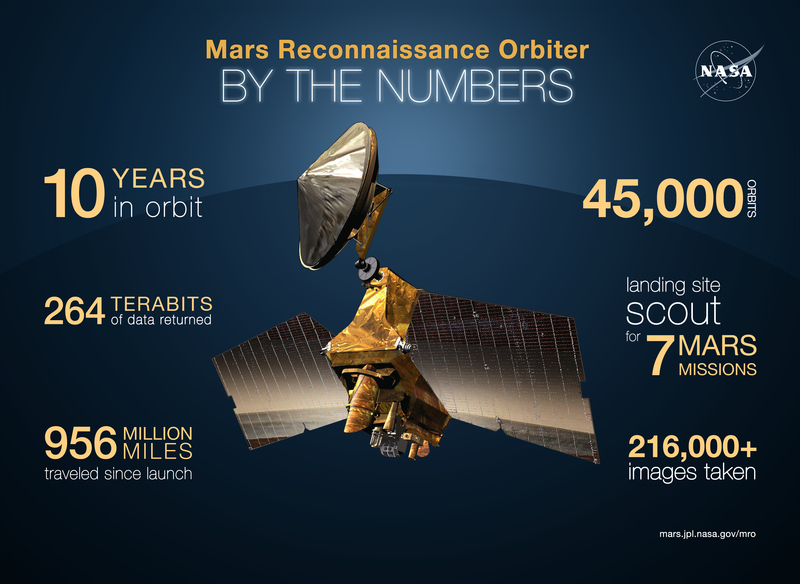 MESSENGER was launched 3 August 2004 and travelled for more than six and a half years going into orbit around Mercury on 18 March 2011, becoming the first spacecraft to orbit the innermost planet in our Solar System. During its journey to Mercury, MESSENGER completed a flyby of Earth (August 2005), two flybys of Venus (October 2006 and June 2007) and three flybys of Mercury (January 2008, October 2008 and September 2009). The primary mission was successfully completed in March 2012 and MESSENGER continued to complete two additional extended missions, XM1 and XM2. 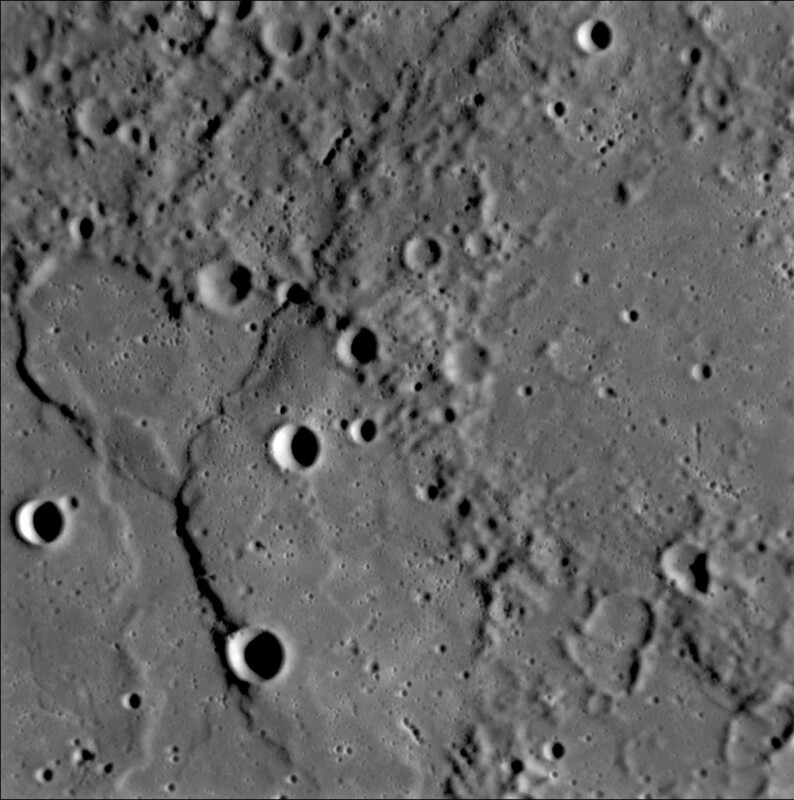 Finally on 24 April 2015 MESSENGER ran out of propellant, which prevented it from maintaining its altitude and so it finally succumbed to gravity and crashed into the surface of Mercury on 30 April 2015. Unfortunately the impact was not visible as the collision was on the side of the planet facing away Earth and space telescopes cannot look at Mercury due to its proximity to the Sun, which would damage sensitive telescope optics. 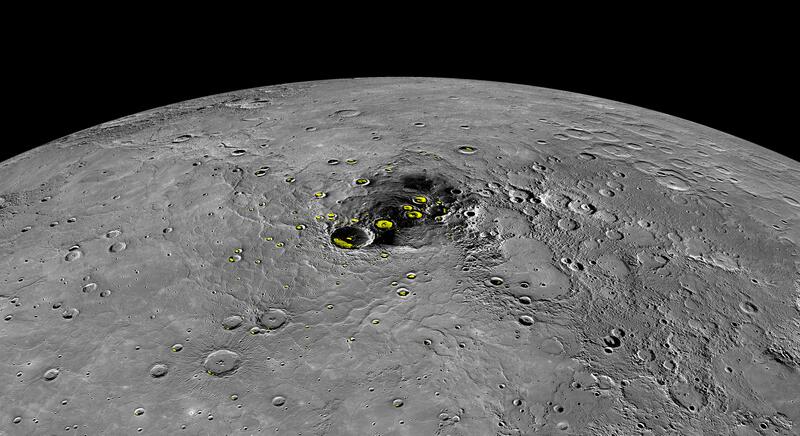 MESSENGER confirmed that water ice exists in the polar regions of Mercury. The day side of Mercury canexceed300C, but due to the lack of obliquity (or axial tilt) in Mercury’s orbit, the floor of solar polar craters never receive any sunlight and temperatures are kept at achilly-170C. 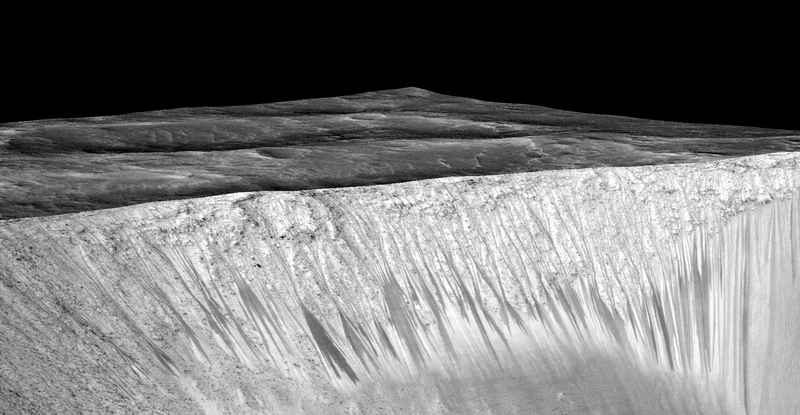 MESSENGER detected water ice in the polar regions covered with an as-yet mysterious dark organic material. A detailed understanding of Mercury’s global cooling, which produced huge cliffs known as lobate scarps. These form when the giant core of Mercury cools and effectively causes the entire planet to shrink. The core comprises about 65% of Mercury by mass, and as it cools it contracts (and it is thought that the cooling of Mercury’s core caused it to shrink by 1-2 km in radius), causing the overlying layers to similarly contract. This results in wrinkly lobate scarps on the surface. Amazing new details have also been uncovered about Mercury’s incredibly thin atmosphere, known as an “exosphere”. The exosphere is so thin that atoms and molecules in the this atmosphere are actually more likely to collide with the surface than other particles in the exosphere! The material found in the exosphere, which comprise volatiles like hydrogen, helium, sodium, potassium and calcium, are through to result from sputtering of the surface of Mercury, kicked up by solar radiation and solar wind, as well as by meteorite impacts. Due to interactions with the strong solar wind, the exosphere stretches out into an amazing 2 million km tail away from the Sun. 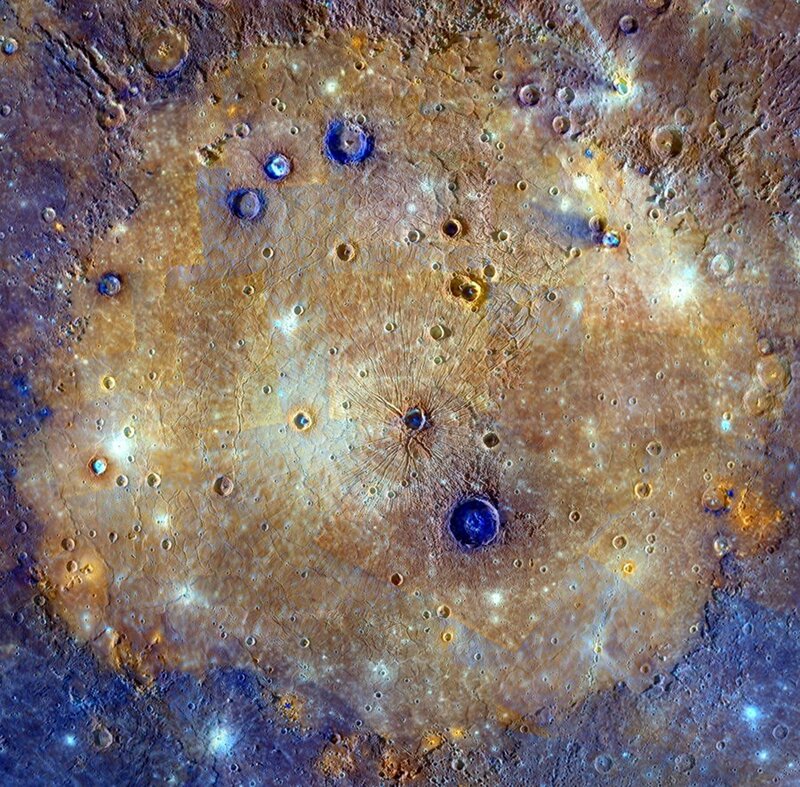 A further mystery of Mercury which MESSENGER has helped shed light on in the global magnetic field of the planet. The Mariner 10 mission detected Mercury’s magnetic field in the 1970s, which was puzzling to astronomers as the huge iron core of Mercury was through to have cooled long ago, preventing a global magnetic field. While only about 1% the strength of the Earth’s magnetic field, a global magnetic field is difficult to understand. The field was thought to a ‘relic field’, frozen into the rocks of the outer surface of the planet when the core cooled and the global magnetic field presumably died away. However, MESSENGER data confirms the global magnetic field of Mercury and there is now consensus that Mercury indeed hosts a global active magnetic dynamo in the core similar to the Earth. Mercury’s magnetic field interacts with the interplanetary magnetic field and charged particles from the solar wind, both of which distort the shape of the field like a windsock. While the MESSENGER mission has ended, there is still a wealth of data for astronomers to work through and we can expect more exciting results from the mission in the coming years. The CMB cold spot – explained? The cosmic microwave background (CMB) is the afterglow of the Big Bang, cooled to the microwave region of the electromagnetic spectrum by the expansion of the Universe for ~14 billion years. Across the entire sky radiation at 2.7 K is evident once local sources are removed. It is not completely uniform in temperature however, with deviations to 1 part in 100, 000. 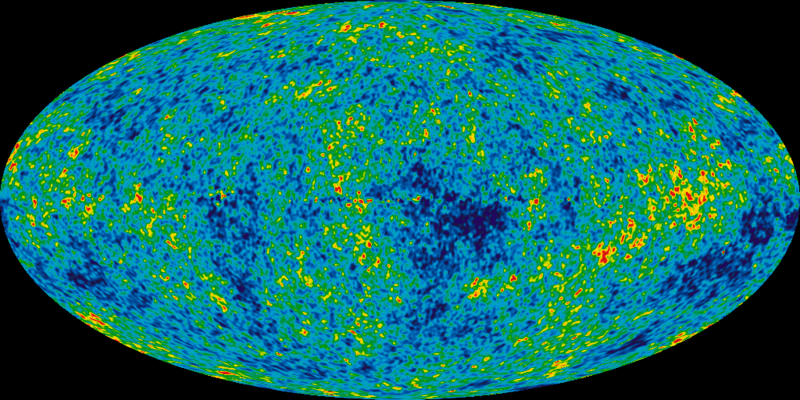 According to standard cosmology, the CMB gives a snapshot of the Universe around 380,000 years after the Big Bang. The temperature of the expanding Universe cooled until it reached about 3000 K, at which point electrons and protons combined to form hydrogen atoms. Radiation was scattering in the free electrons and protons of the younger, hotter Universe, but once hydrogen formed radiation could travel unimpeded. The Universe therefore became ‘transparent’ to radiation, which we see as the CMB. This time is generally known as the ‘time of last scattering’ or the epoch of recombination. Cosmologists have realised that measuring the angular variations, or anisotropy, in this radiation would provide important clues to why matter (like galaxies and clusters) is distributed the way it is today. The regions that are slightly more dense than others gravitationally attract photons, causing them to lose some energy in transition. These regions thus appear to be at a lower CMB temperature. Regions that are less dense suffer less from this effect and the radiation appears to be at a relatively higher CMB temperature. In 2004 while examining a map of the CMB obtained by the WMAP satellite, astronomers discovered the Cold Spot, a larger-than-expected unusually cold area of the sky. The physics surrounding the Big Bang predicts warmer and cooler spots of various sizes in the infant Universe, but a spot this large and this cold was unexpected. The Planck satellite also detected the CMB Cold Spot (as well as other suggested anomalies initially seen in the WMAP data.). The Cold Spot deviates by about -70 µK from the average CMB temperature and is centred on (l, b) ~ (209°, -57°) in Galactic coordinates. The Cold Spot is perhaps the most significant among the ‘anomalies’ in the CMB that are potential departures from isotropic or Gaussian statistics. Explanations of the Cold Spot range from a statistical fluke through to unknown physics, an imprint of a parallel universe, to the Integrated Sachs-Wolfe (ISW) effect from a ~200 h−1 Mpc supervoid, which is an area lacking in galaxies, centred on the Cold Spot. In the ISW effect photons from the CMB can be gravitationally redshifted or blueshifted due to intervening gravitational fields. If photons have to travel through a dense cluster of galaxies they gain energy by “falling” into the cluster’s gravitational potential. As the photons “climb” out of the cluster potential they lose energy, but not as much as they have gained since the Universe expanded in that intervening time. The net effect is that these photons are slightly warmer. For photons travelling through a void the effect is the opposite. The photons exit the void with less energy and therefore at a longer wavelength, which corresponds to a colder temperature. Hence the ISW effect is driven by the intervening galaxy distribution and can slightly alter the temperature of the CMB photons that we detect. If correct, the void that could cause a Cold Spot in the CMB would be readily detectable in large-scale structure surveys of galaxies. So what is the origin of this CMB Cold Spot? A recent study by István Szapudi of the University of Hawaii and collaborators of galaxy properties in and around the Cold Slot has recently been published in the Monthly Notices of the Royal Astronomical Society. This new work uses the extensive WISE-2MASS all-sky infrared databases and Pan-STARRS1 (PS1) data set of galaxies that have a mean z ~ 0.14. They find a very large void – a large under dense region of galaxies – in the constellation of Eridanus with a radius Rvoid ~ 220 Mpc centred at z = 0.22. This equates to a void that is 1.8 billion light-years across, in which the density of galaxies is much lower than usual in the known Universe. This corresponds to a 3.3σ fluctuation in a CMB expected for a Λ Cold Dark Matter model for the Universe. Overall the detection of a very large void in the galaxy distribution is a viable cause for the CMB Cold Spot. However the current estimates of the ISW effect are smaller than the observed -70 µK deviation. Could the void in Eridanus actually be much larger than ~220 Mpc? This is possible. The team that studied the Cold Spot in Eridanus is now taking a look at another CMB cold spot near the constellation of Draco. These further studies should give us better insight into the physical properties of the CMB.